When it comes to crafting your resume, you’ll see a lot of different opinions from different professionals all over the internet. While many aspects are completely conditional to the position you’re applying to, some are clear cut. But even so, the job market is constantly in flux and so then are the expectations of resumes. Whether you’re ready to jump into a job search for the first time or for the first time in a while, here is a current guide to creating your resume. Functional: A functional resume lists the companies you’ve been at and your job roles without specific details for each position and without dates. In all my time recruiting, I’ve never – never – been asked for a candidate’s functional resume. Chronological resumes are the most common and requested. They show in reverse order where were you last, down to where you started, giving dates and detailed descriptions for each position. Bullet point items are better than run-on paragraphs. I used to do training for people who were searching for a job, and I’d ask how many people have a resume. Everyone would raise their hands. I’d say, “That’s the problem – you only have one resume.” You must tailor your resume to the position you want, and each position you apply to. Otherwise you’re sending a resume out to lots of people who will ignore it. This really depends on the position you’re applying to and your personal preference. For higher level roles, specifically management level and above, include it. If you’re pursuing a staff-level position, only include a cover letter if you’re making it specific to that position and that company. If you address it to the wrong place or fail to tailor it, you’ve just told the hiring manager that you don’t care about the position. Objective statement, professional summary or nothing? A professional summary can be good if it’s a short paragraph or bullets that highlight your background, BUT if you are going to use a professional summary make sure that it addresses the requirements of the position specifically. Yes, definitely include dates of employment. Month, day of the year or any format you want, but use the same format throughout the whole resume. This is, again, personal preference, but may prove beneficial for contract employees or if you’ve been laid off. Keep it simple and to the point. Examples to use: contract ended; layoff due to downsizing; company closed. You’ll get lots of feedback on whether this is a good or bad idea from different people. Personally, I think it’s a matter of what information you’re trying to get across to the person reviewing your resume. If you’re graduating in a few months or a year, it’s a good reason to put the date on. If you want them to know you have 20 years of experience, you can. If someone doesn’t want to hire you with your 20 years of experience, why would you want to work there? They will eventually interview you and figure it out, so don’t leave it off for fear of being discarded. For a lot of recruiters and hiring managers, this is a pet peeve. The general rule is that your resume is long enough to cover the details of your employment and education history. However, most people in a position of hiring do not have time to read a book, so make it relevant to your experience. Example: if you have 20 years of experience and have worked more than one job, but your resume is only one page long, you likely haven’t done much. It’s too short. However, if you have five years of experience and a 10 page resume, you’ve given way more detail than anyone will really read. Save the detailed descriptions for the hiring manager that asks specifically for details in an interview. Under normal circumstances, a 2-3 page resume is long enough to give detail without being so long that someone would delete it on principle. With more than 20 years of recruiting, and hiring people another 10 years before that, I have an idea of what hiring managers are looking for in resumes. Even if you were a Girl / Boy Scout 20 years ago, if the hiring manager is not looking for an Eagle Scout, don’t include it (although Eagle Scouts might argue that, and rightfully so). The resume that works best is geared towards the position and company you’re applying to. Try to look at it from the perspective of the person you’re sending the resume to. What are they looking for? What in your background fits their position? 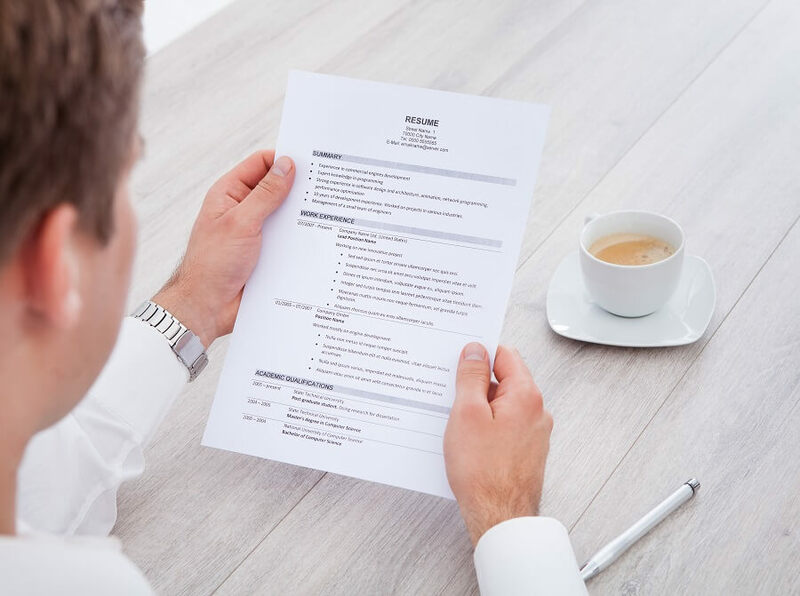 Other hiring managers, recruiters and HR pros – what do you look for in a resume?